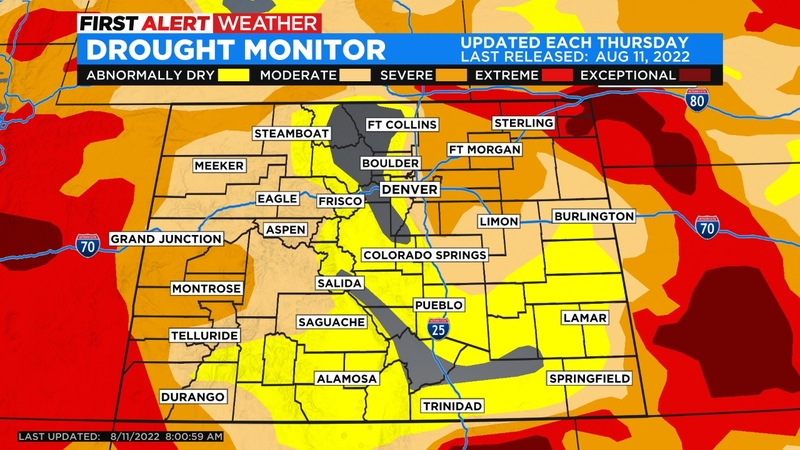 A good, soaking rain moved into Colorado on Tuesday. Unlike storms earlier this summer, these for the most part didn’t turn severe. We just saw nice, normal thunderstorms that brought moderate rainfall. Which, we really needed. On the Western Slope, much heavier rain fell causing some flooding issues. There are numerous burn scars out west, so the heavy rain could cause flooding. There will be a Flash Flood Watch in place through Wednesday morning. More rain and thunderstorms possible on Wednesday, from the Western Slope to the plains. Most of these storms shouldn’t be severe, but a few could pop in southeastern Colorado. We head back to the heat on Thursday, with highs climbing back to the upper 80s and low 90s. 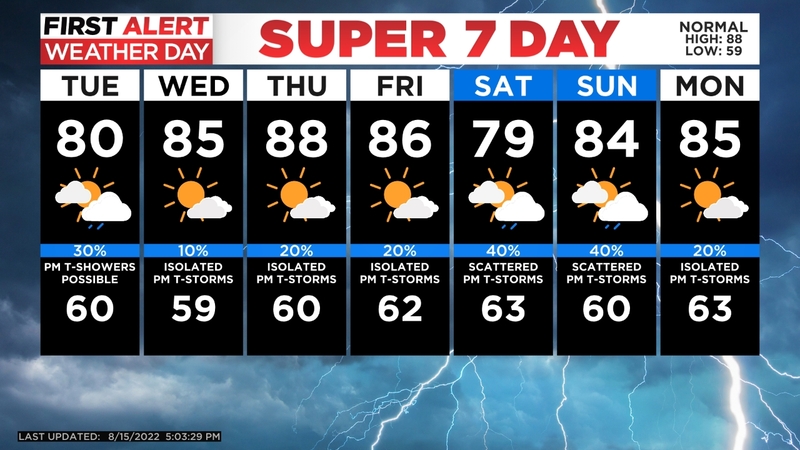 We should stay dry through the weekend, with more hazy conditions.